All Saints Mission Church in Portloe can be found on the northern side of the village centre, where Cliff Cottages branches off towards Portloe Cove. 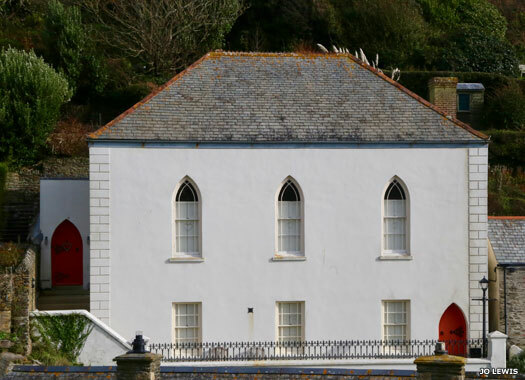 It began as a lifeboat house in 1870. It was altered for Anglican use in 1896. The church bell was originally a ship's bell from the Dundela, a merchantman that was driven onto the rocks at nearby Straythe. 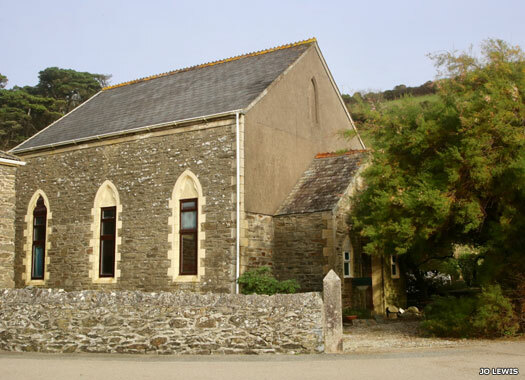 By the 1990s, Portloe's Methodists (see below) had agreed to shared this building (from 17 May 1992). The former Portloe Bible Christian Chapel is easily seen to the right-hand side as the main road turns north to pass Coastguard Terrace on the left. This Grade 2 listed building was probably erected in 1860. It became Portloe United Methodist Church in 1907-1932, and then Portloe Methodist Church. 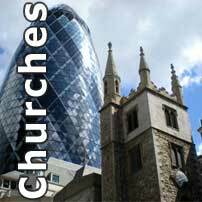 By the 1990s the congregation had moved to All Saints (see above) and this building was sold. It was later converted into a home by Felicity Dahl (Roald Dahl's widow). West Portholland Bible Christian Chapel overlooks West Portholland Cove and its small harbour from the western flank of that harbour. This lovely stone building was erected in 1858. It became Portholland United Methodist Church in 1907, part of the Roseland Methodist circuit. 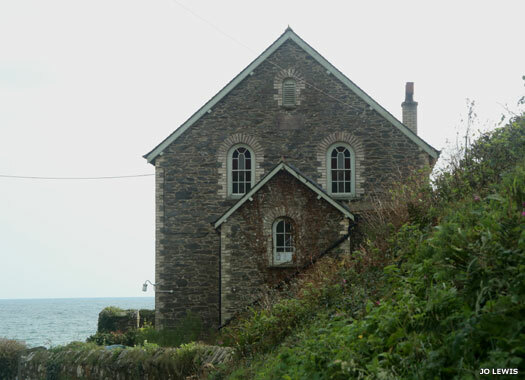 With congregations falling, in the 1990s many local Methodist congregations merged with that of Portloe (see above). This chapel was sold and is now Chapel House, a luxury holiday cottage. East Portholland Wesleyan Chapel overlooks East Portholland Cove from the immediate west bank of the brook that divides east from west. It was built about 1881, becoming East Portholland Methodist Church in 1932. A dwindling congregation saw it sold in 1938 - fairly early for such a closure perhaps. The building was subsequently converted into a home which, by 2018, was available as a rental. At low tide visitors can walk between the two Portholland chapels. The A3078 soon reaches Tregony Hill at the River Fal bridge. 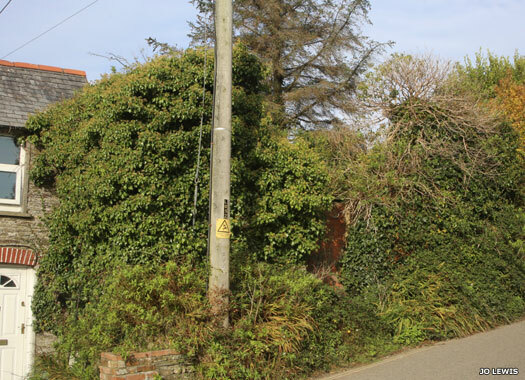 The site of the lost St James' Chapel, Tregony, can be reached via the riverside footpath from Frog Lane. The chapel was founded in the 1000s by the Pomeroy family. It was abandoned in the 1500s after being submerged by the tidal river - caused by the building of the bridge around 1300. 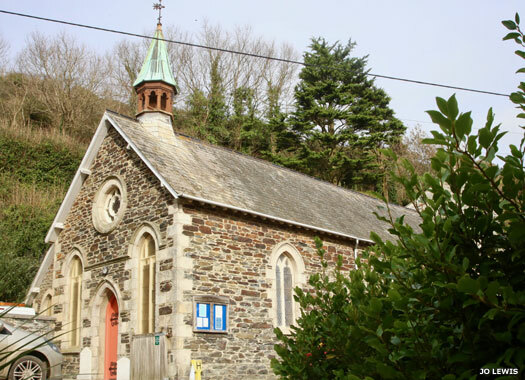 Church valuables were moved to St Cuby, Tregony. Nearby was also a medieval priory and a St Anne's Chapel, both lost. 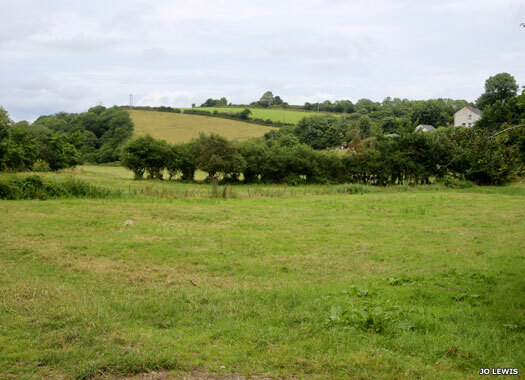 The ruins of the first building to have served as Tregony Bible Christian Chapel lie on the left-hand side of Tregony Hill, immediately opposite the turning for Well Lane. Research suggests that this original chapel fell into disrepair and the 'hall' (possibly the Oddfellows Hall) became the replacement chapel (see link). The remains of the building are now covered in foliage and are almost unrecognisable, although the boarded-up doorway is still clear to be seen.